You can now download the new macOS Mojave wallpapers for your Mac, PC, phone or tablet. All wallpapers are 5K in size. Unlike iOS 12, Apple was a little generous on the wallpaper front with macOS Mojave. It includes two new backdrops from the Mojave desert – one photos is taken in broad daylight whereas the other one is taken at night to show off the new dark mode of macOS 10.14. Both wallpapers are massive in size, spanning in at 5120×2880 pixels. That’s 5K, in case you’re wondering. This also makes them large enough to be used pretty much anywhere, until or unless you have a 8K panel, only then things will start to look a little fuzzy. 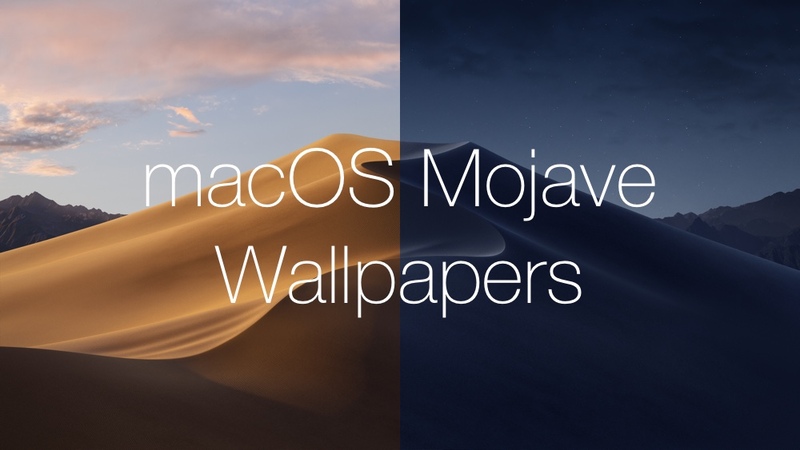 Even still, these are great little wallpapers to have and you can download them right now without having to install macOS 10.14 Mojave itself. Just like iOS 12, there’s a high chance that Apple might throw in a few more wallpapers into the mix right before launch. If that happens, it’d be great. Even if the company doesn’t, we always have the option of using a custom wallpaper. But hey, nothing beats the goodness of first-party merchandise right? You can download both wallpapers by heading over to this link.